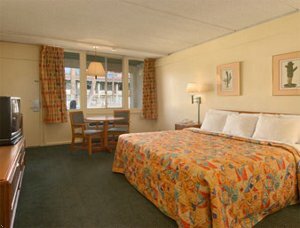 Days Inn Scottsdale is in the heart of Scottsdale, adjacent to Fashion Square Mall and within walking distance of Old Town and the famous Fifth Avenue shops and art galleries. *The 167 comfortable rooms surround two lushly-landscaped courtyards, which encompass the outdoor heated swimming pool, whirlpool, sand volleyball court. Our three meeting rooms can accommodate from 10 to 80 classroom style, our outstanding sales staff can help you with menu selections for your group functions. Scottsdale is world famous for it golf with renown golf courses such as Greyhawk, Troon and TPC just to name a few. * The Scottsdale Days Inn offers unbeatable service and value with an excellent location. Ask about joining Wyndham Rewards our national loyalty program. The Hotel also offers High Speed Internet Access and has a Business Center.